We’ve got plenty of seasonal delights in store for you this month with our new set menu and you can enjoy two home-cooked courses for just £12.95*. 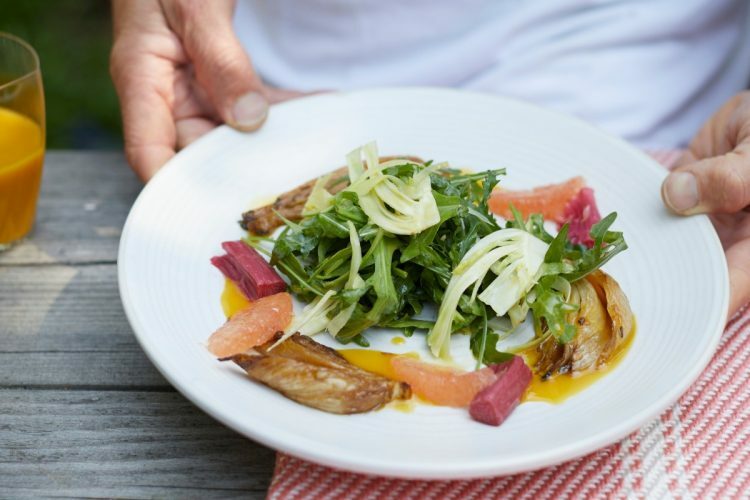 For a light and refreshing start to your meal, our roast rhubarb, fennel & pink grapefruit salad combines the delicate sweetness the rhubarb with a wonderful zesty punch from our colourful citrus dressing. For a main, we have a succulent duck-leg with a crisp curly endive salad finished with zingy cherry vinaigrette. Round off your meal one of our comforting classics – indulgent brioche & butter pudding served with crème anglaise, simply delicious. View our set menu and book your table today! *Times, prices and availability vary. Threadneedle Street, Bournemouth, Charlotte Street and Hale Barns do not offer this menu. Please check the webpage of your favourite location for details.